What consumer products seduce you? We all have our weaknesses when it comes to spending. There are certain consumer items that routinely tempt us to purchase them. For the longest time I refused to believe that I had an issue giving in to these temptations. However, I began to notice certain behavior patterns emerging that forced me to admit to the truth. Certain consumer products are very attractive to me and I have to continually fight my spirit’s desire for them. What Are the Signs of Desire? 1. These consumer items draw you like a magnet every time you see them. 2. You possess multiple items of this product even though there is no need. 3. They continually find their way into your daydreams. 4. You find yourself going out of the way to look at them. 5. The prospect of ownership creates excitement and you may spend considerable time (perhaps wasting time) trying to figure out how to make the purchase happen. Size and price do not matter. They could be small or large, cheap or expensive. What matters is the uncontrolled desire and then consumption of these items that plays havoc with our finances, wrecks our monthly budget and causes conflict in our spirit. 1. Snack Foods. One reason I take a list to the grocery store is to remind me of what I should NOT buy. Certain sections, namely the snack food, soda and ice cream aisles, call upon me to grace them with my presence every time I shop. I could go uncontrollably wild buying these items if I hadn’t developed the discipline over time to only minimally purchase them. I definitely have some sweet and salty DNA. 2. Clothes. Having four growing kids who seemingly need new clothes ever week has helped tamp down my desire to buy clothes. Their needs come before my own. But the temptation to “shop till you drop” is still there. 3. Watches. I really can’t explain this one. I love watches. 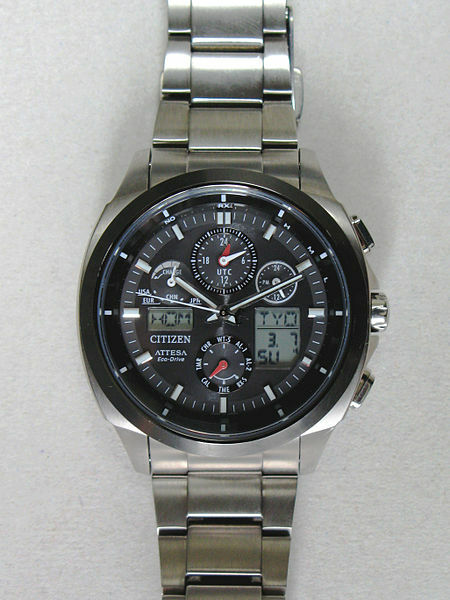 My personal favorite brand is the Citizen Eco-Drive. Knew I had a problem here when I bought a new one three years in a row while chaperoning our students as they took a cruise for their senior trip (even though the ones I had bought in previous years worked fine). I justified it because a) they were different styles – to match my different clothing outfits of course, b) they were cheaper than in U.S. department stores, and c) they were duty free. 4. New Cars. I may get crucified in the personal finance world for admitting this one. The depreciation that occurs the moment you drive the car off the lot makes this one a big no-no in most circles. Doesn’t matter. I’m still enticed by them (and am still enjoying the truck I bought new almost a decade ago). 5. Luxury Homes. This one makes a little sense to me because I spent two college summers and then one full year post-college building custom homes. And we built some pretty nice ones. I’ve found myself on occasion driving through the nicer areas nearby dreaming about living in a expensive home – with all the space and special features you could build into it. Can these temptations be stopped? I don’t think they can. Our culture bombards us every day with advertising, pushing the “you-can-have-it-now” and the “make-yourself-feel-good” mentalities down our throat. It seems impossible that we would never at least be tempted again. But we can minimize the temptations effects. A good first step when tempted by our weaknesses is to analyze our motives. Why is it that we want to purchase that item? Do we think it will make us feel good or impress others? Do we really need it or is it a want? Being disciplined to the budget will help fight against the emotional triggers to buy an item. If we only have “X” amount in the budget and are committed to holding that line item, then that naturally stops us from purchasing some things. Surely practicing contentment would be another great step in the battle. And perhaps a spiritual awakening is in order, knowing that true happiness does not come from fulfilling every earthly desire. The goal today was not to bash against these items or any other consumer good. There is nothing inherently wrong with making a particular purchase. I’m just being transparent here about my triggers and challenging you to consider yours. These particular ones pop up as recurring purchasing temptations more frequently in my life than I would like. If I failed to recognize or address them properly, my resulting choices could lead me down a path I would rather not go. What consumer product entices you when you see it? How do you fight the temptation to purchase it? Prior Post: Is the Debt Snowball the Best Method to Pay Off Debt? Snack foods are my weakness, too! My wife and I are pretty frugal and are good at saying “no” to our temptations. That being said, I like personal computers and other electronic gadgets, and am often tempted to upgrade. I am typing this on a five year old laptop that I got from work, but our son’s computer has one of the latest 4th generation Intel i7 CPUs, 16 GB of RAM, a solid-state system hard disk, with an additional 3 GB hard disk, and a powerful video card. He loves it for games. I use it to run large analytic simulations. Total cost was just under $1,000. The new computer replaced an old one that was clearly dying. I still haven’t bothered investigating why it was losing USB ports, and whether the seized case fan had anything to do with the smell of smoke when our son turned it on. Yikes…Never good when smoke smell accompanies turning a computer on. I think many people would share the electronics temptation with you. Sometimes it seems almost pointless to keep up, with product cycle turnover happening so rapidly. I feel like I have a lot of those. Clothes, and especially cute workout clothes is one area. I get seriously envious when I watch house hunters and I see other people’s gorgeous kitchens, and cool outdoor areas. Travel is another area. Sometime I just want to say f it and throw a trip on the old credit card. I curb my shopping appetite by avoiding stores, and curb my travel appetite by unsubscribing to various emails with travel deals. I did buy my iceland trip that way and even though it was a good deal, I unsubscribed as soon as I bought it so I wasn’t tempted to get anything else. I also hide certain friends on my FB wall that seem to travel a lot. Right on Chaz…material things don’t cut it when it comes to internal fulfillment. My weakness is shoes and pajamas. It’s a strange combo, I’ll admit. I went through a struggle recently to combat lifestyle inflation, where my thought process was that we might as well spend the money if we have it. But now that I have a goal of financial independence in the near future, I use that as my motivation to suppress the desires for material items. Any money I save by not buying pajamas, for instance, is just added to the funds I’m accumulating for financial freedom. Lifestyle inflation is a tricky thing to manage. It’s extremely easy to creep upwards in our spending habits. And it happens ever so slowly, sometimes we miss it. We actually discussed this in my bible/book study group last night. It’s not wrong to want to fulfill certain natural desires, but it’s when you find your value in those things and they consume you that you’re in trouble. I also am a sucker for watches. I have one nice one (nice by my standards, at least – I know they can get VERY expensive) that my wife got me. I also somewhat lust over TVs because we want to add one to our bedroom. I hope to put that purchase off as long as possible as we have other priorities like new carpet that should really be taken care of first. I agree 100% DC…we cannot find our personal value in things. Funny, isn’t it, how we let our lusts take precedence over things we need first. Just goes to show you the power they can potentially have in our lives. For me it isn’t a specific category, but more of a price thing. When I see something at a great price I have a hard time passing it up. My mind is thinking “if I buy this now, I will save so much money by not having to pay full price in the future.” This especially happens with kids clothes and baby things. Even if I don’t have a baby or kids in that size I am still tempted to buy cute things at a great price. That’s a very real trap that we all get into. I get sucked into the “buy-one-get-one” offers at the grocery store using that mentality. I don’t think we ever stop finding things we want. 🙂 At least I haven’t. Like you, it’s knowing what items tempt us most, so we can catch ourselves before we buy something, well, out of lust when we can’t afford it. I actually buy new vehicles too, so no shaming from me. But like you again, we drive them for many years and we pay cash, husband’s rule. Have a great weekend! That’s one of the rules I’ve heard about buying new…that it’s fine if you intend to hold the car for at least 10 years. “…junk food binges take longer to recover from than they used to..” Boy, isn’t that the truth. A week of weight gain from binge eating takes three weeks to get rid of – or so it seems.